Holiday Inn—as part of its parent company, InterContinental Hotels Group—is one of the largest hotel brands on Earth. And the largest brand with business travelers. But with the decline of corporate travel services, business travelers plan more and more on their own to coordinate and pay for their bookings. 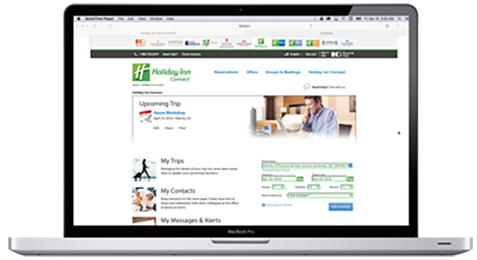 IHG wants Holiday Inn to pilot a new program that will allow business travelers to cooperatively plan, book, and travel, making it easier for teams to stay together, whether their trips are for work or for pleasure. 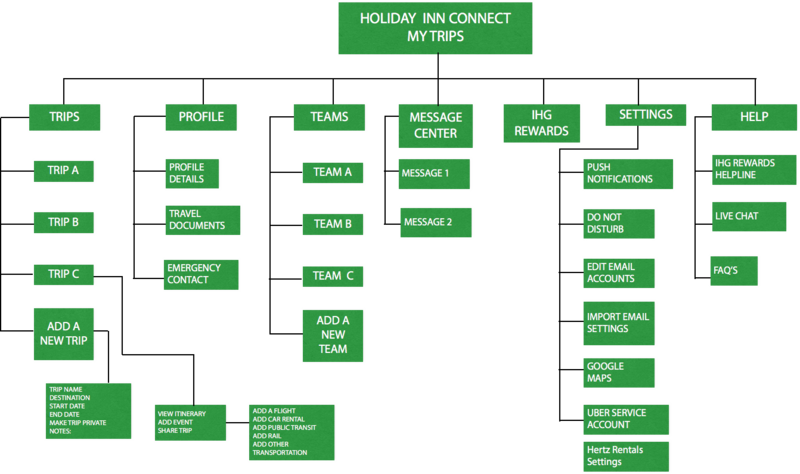 The Holiday Inn site currently allows guests access to their own plans but not a way to collaborate with fellow travelers. Information can be shared through the usual means of social media and e-mail. Because of the limited scope of the project, a total redesign of the website wasn’t possible, but an extension of the existing site was designed to facilitate collaboration. 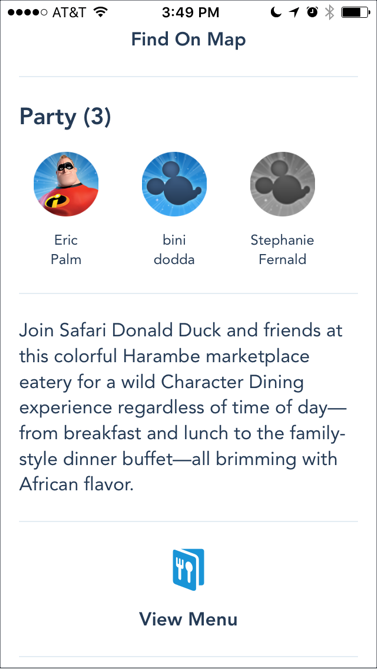 Websites and apps that have good collaborative functionality include Marriott, TripIt and Walt Disney World's app, My Disney Experience. A survey of more than 40 business and leisure travelers was conducted to understand the guests’ process for making travel arrangements and communicating with their colleagues and family members. 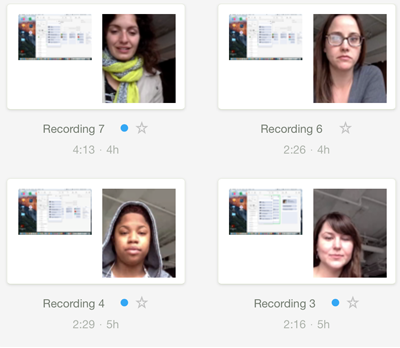 The survey identified pain points that an app and additions to the website could address. Top frustrations were keeping up with every aspect of a trip and staying on schedule; especially if traveling with a group. 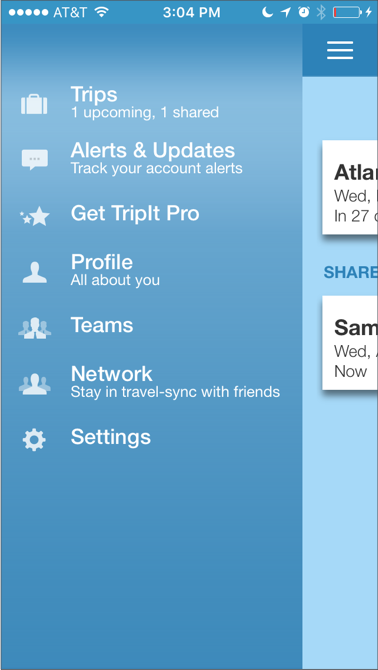 The flow shows the steps a traveler would take to create a new itinerary or access and share an existing itinerary. The site map for the mobile app was created first, which was also used to build out the website. 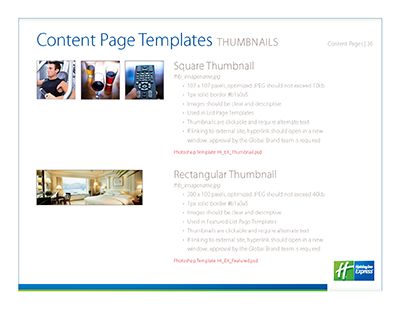 Holiday Inn has existing brand standards for the website that were followed in the creation of additional pages to the site. 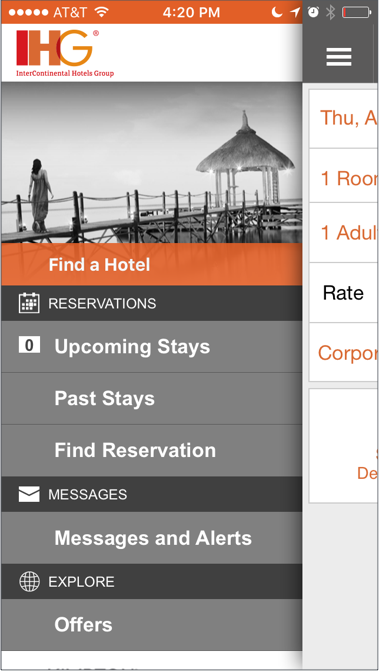 The IHG branded app is currently used for booking rooms at Holiday Inn and other IHG brands. 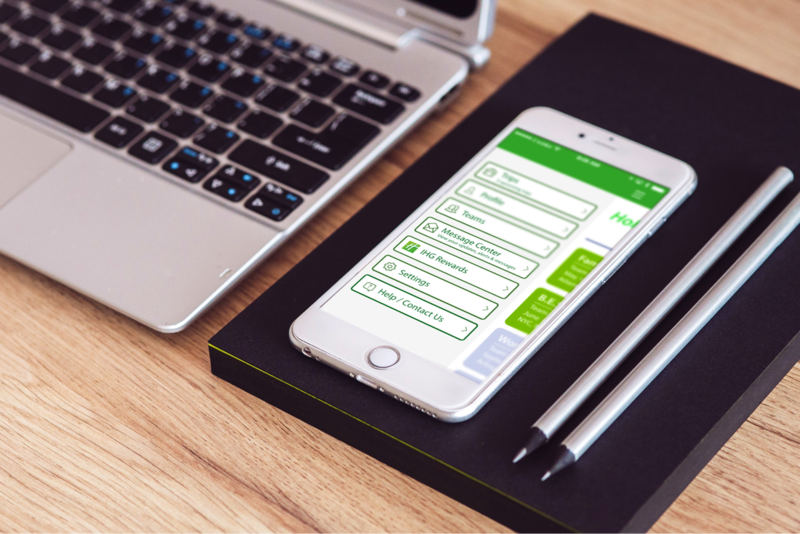 We chose to create a Holiday Inn branded app to take advantage of stronger name recognition when performing a search for the app in the App Store. The team performed guerilla testing of the mobile app and website with users. The top insight from the tests of the mobile app was users were overlooking the button to book a room and thought it was an add. They had no difficulty navigating most of the new collaboration features but couldn’t figure out how to book a room. 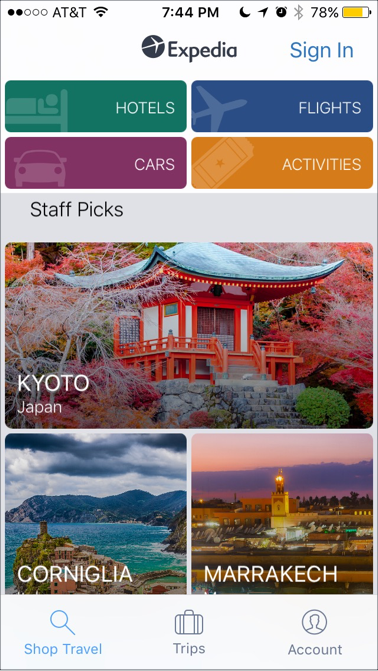 With successive iterations, we changed the position and colors of the booking button. Click here for desktop prototype. To help guests make getting to and from the hotel easier, we would like to integrate Uber and link the reservation to the guest's Holiday Inn itinerary. 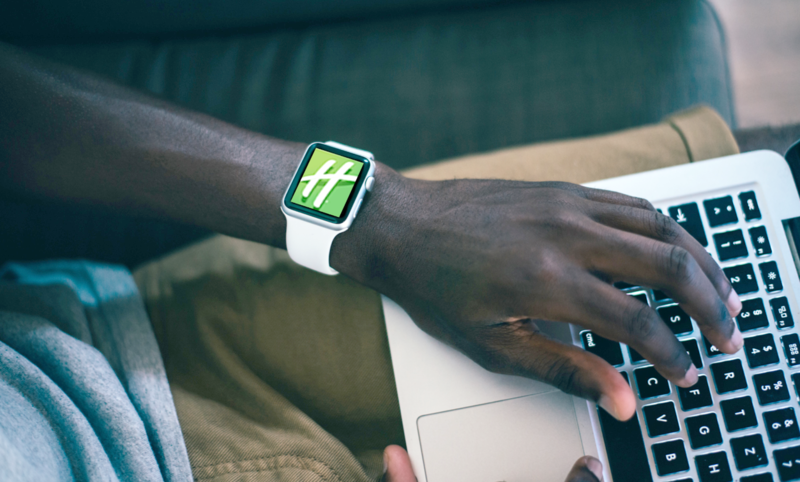 Providing guest's information about their itinerary for the guest is obvious, but the app could be used to allow guests the ability to use the Apple Watch's RFID capabilities to unlock their hotel room. Tests of the website revealed a bit a familiarity with navigating through the site. 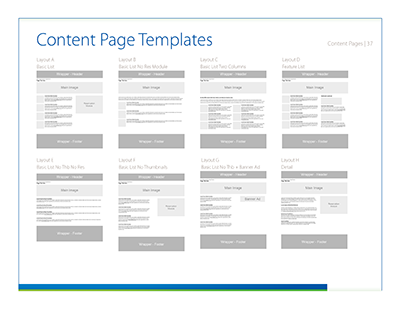 Keeping the booking engine on most pages kept the user from backtracking to the home page. During the test, a simulation of a message alert of a delayed flight was missed due to placement in a block of text. The alert was moved to the top of the dashboard and redesigned with white text on a red background.